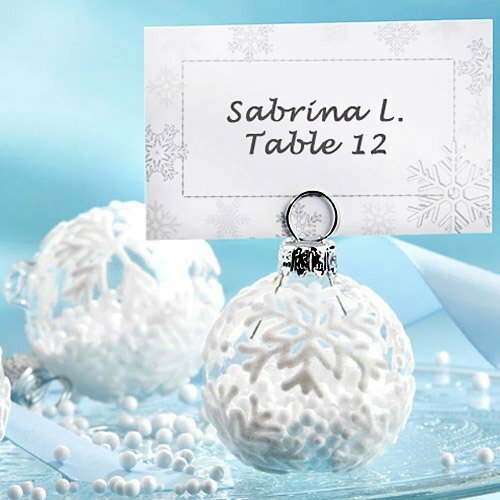 This winter, bring the beauty of the outdoors indoors with these falling snow ornament place card holders. With each touch, a flurry of faux snowflakes swirls within. Set these wedding decorations beside guests' place settings at your white baby shower and let the snow-globe fun begin!